Named after our iconic Jermyn Street, address, a celebration of some of the best products to bear our name, including several Great Taste Award winners. 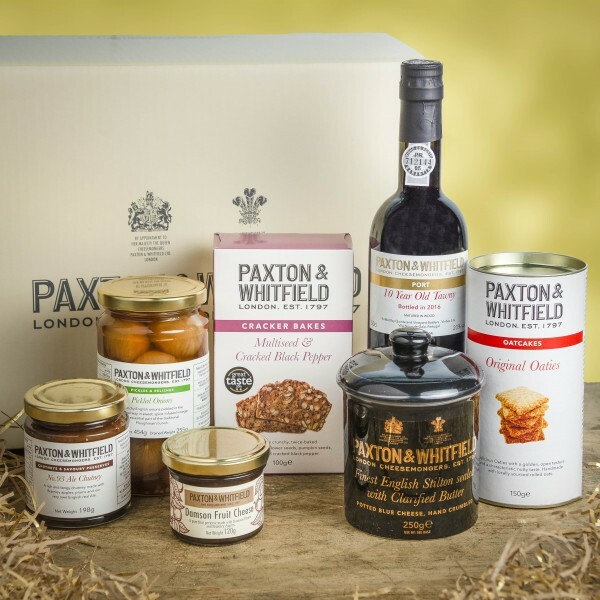 This hamper features our iconic Stilton Jar and has the perfect accompaniments to enjoy with it. Crunchy English onions pickled in the traditional way in sweet, spice-infused vinegar. An essential part of the traditional Ploughman’s Lunch. All the onions used in our Pickled Onions are grown on the Narborough Estate in Norfolk.